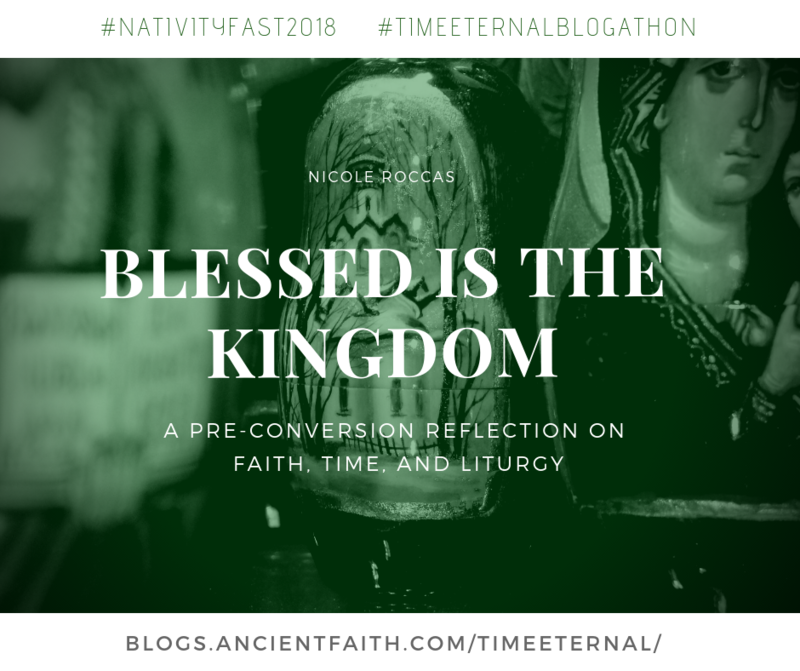 A month and a half ago, I was searching for something on my computer and randomly came across a mysterious file folder labeled “Conversion Notes.” After clicking on the folder, I was inundated by a cache of reflections I DON’T REMEMBER WRITING but which were all evidently penned during the first 6 months I started attending an Orthodox Church. That might sound a little crazy to the non-writers out there–that I could not only write hoards of words but that I could then completely forget about them. This is the blessed/vaguely neurotic side effect of not being able to make it scarcely a day or two without waxing poetic about SOMETHING. “Blessed is the Kingdom…” With these words, the Divine Liturgy of the Orthodox Church begins every Sunday morning. I have heard the priest, here, Fr. Steven, sing them every Sunday since I’ve been coming. And each week it is mostly the same: chanted on the same pitch, cutting through the rustling of bulletins, the muffled morning whispers in the pews, the late-comers ebbing to the front of the sanctuary to light candles and venerate icons. Extensive adjectives and adverbs aside, I think St. Basil and St. John Chrysostom knew what they were doing when they started off the massive service with a short, pointed clause. They knew, like Shakespeare did when he penned the introductory choruses to his plays, that all great masterpieces are not just strings of words and semantics—they are journeys. And they knew that the best journeys should start not at the beginning, but at the end, at the goal itself, the telos. What better goal than the Kingdom of Heaven? Still, that is all something I’ve only come to appreciate with time. For a long while, I have seriously wondered why Orthodoxy insists on making a journey out of everything–the Liturgy, the yearly cycle, the daily liturgical cycle, the life of faith… Why can’t Christmas just be Christmas–why does it have to be this whole 40-day-plus-12 journey? Why can’t Easter just be Easter? The day just be the day? Even Church on Sunday mornings doesn’t start on Sunday morning, but Saturday night, with Vespers services full of prayers and Psalms which will prepare us for the journey we take every Sunday morning. Journeys are tiring. Sometimes it’s nice to just get things over with and stay put. But, more than with laziness, my struggle was with what I initially perceived to be legalism in Orthodoxy: If God’s love and mercy are real, can’t I just show up on Sunday morning? Can’t I just show up at Christmas? Does it (or should it) really matter to God whether I’ve been fasting for six weeks or spending time in prayer about it? In Protestant traditions, including American brands of Protestantism such as Evangelicalism and Pentecostalism, there is very little journeying going on throughout the year in the Church. Christian Holidays, like Easter, come and go very quickly and are experienced as single dates on a calendar. This is not to negate the sincerity with which they are observed in Protestant Churches, but underscores the tendency for holidays to stand in isolation from one another, and purposefully so. One’s trust should not be in Holy Days or rituals, but in Christ. Because of that conviction, I was rather skeptical of the “journey” of Orthodoxy through time in all its vicissitudes. All these phases and cycles and pilgrimages–they seemed dangerous, like something that invites false trust and false piety. 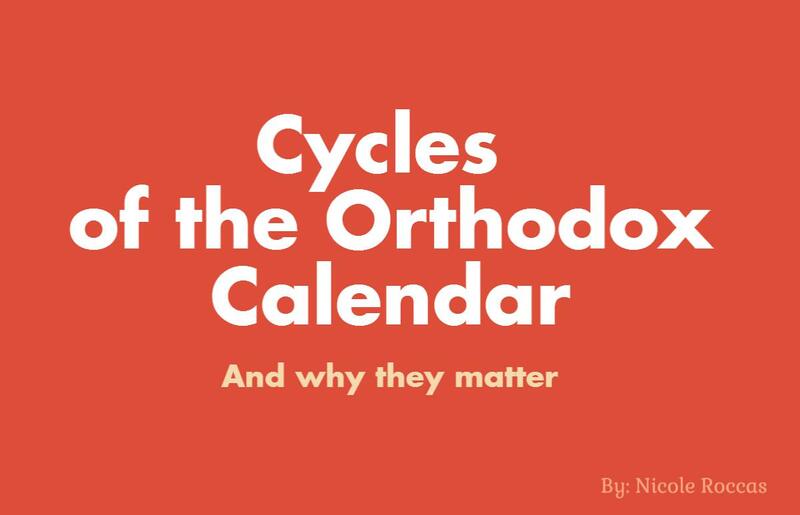 What is slowly becoming apparent to me, however, is that this “journey” aspect of Orthodox time parallels the nature of salvation itself–or at least Orthodox views of it. Salvation, for the Orthodox Church, is not a moment in time but an unfolding process. There are moments on that continuum that may have particular importance—moments of decisions or conversions or poignant trials. These junctures, however, are only important inasmuch as they occur within a much larger, longer and more complex transformation of a person’s entire self (not just the soul, but the mind and body as well) as he or she becomes increasingly turned over and surrendered to God. A person is not just saved in Christ, they are being saved. And that journey of salvation likewise derives its meaning from its context within the even larger (and longer) journey of humanity toward Christ–from its loss of paradise through sin and death, and back to Christ through His death and resurrection. Back to eternity, back to the Kingdom. We already know where our journey will end, because it has already ended. It has already been fulfilled. But we are also still on the journey. This is a hard truth. Lately, people have started using this phrase: spoiler alert. They post it on Wikipedia entries if the content gives away the ending to a story or movie. But Wikipedia didn’t invent the spoiler alert, nor did Shakespeare in his choruses–God did. He has been “spoiling” the end of the story of our salvation all along. After Adam and Eve sinned, He gave them garments of skin in anticipation of the sacrifice of Christ. He told the Jews flat out, over and over, that He would send a Messiah, and that He would be born of a virgin—and then He went right ahead and did just that. And once His Son had taken on human flesh, He wouldn’t stop mentioning His impending death. If you read the Gospels, you might be shocked at the injustice of the Cross, but you won’t be shocked that Christ actually died, because His ministry was spoiler alert after spoiler alert. So, why did humanity act so surprised and doubtful when “all these saving events” eventually came to pass? Why did the message of Christ remain unheeded by first-century Jews? Why did even the Apostle Peter deny Christ at His death? I think the main thing that happened–in addition to the usual offenders like sinfulness and human nature–was time. It’s easy to hold on to hope and clarity of belief for short periods of time, but stretch that out across a whole day or year or lifetime or millennium? We humans have an awful track record when it comes to managing time in that regard. In fact, in the story of salvation told throughout the various books of the Bible, time features at least as a supporting character (and usually more as an antagonist than a protagonist). Time is the character that most consistently muddles and foils the storylines of redemption, it dampens and sidetracks the plot of God’s salvation, it proves all the other “characters” to be flawed, impatient, and forgetful at best. And perhaps this, too, is why the Orthodox Church in its Liturgy proclaims our destination before we even begin. “Blessed is the Kingdom…” Because if we don’t keep the promise continuously before us, how will we ever learn to stay the course? 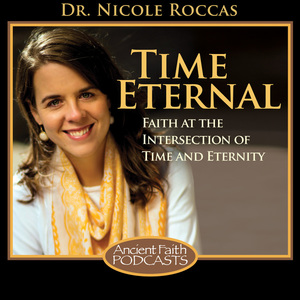 On a more eschatological level, if we don’t already know where we are in eternity, how will we know the way there in time?